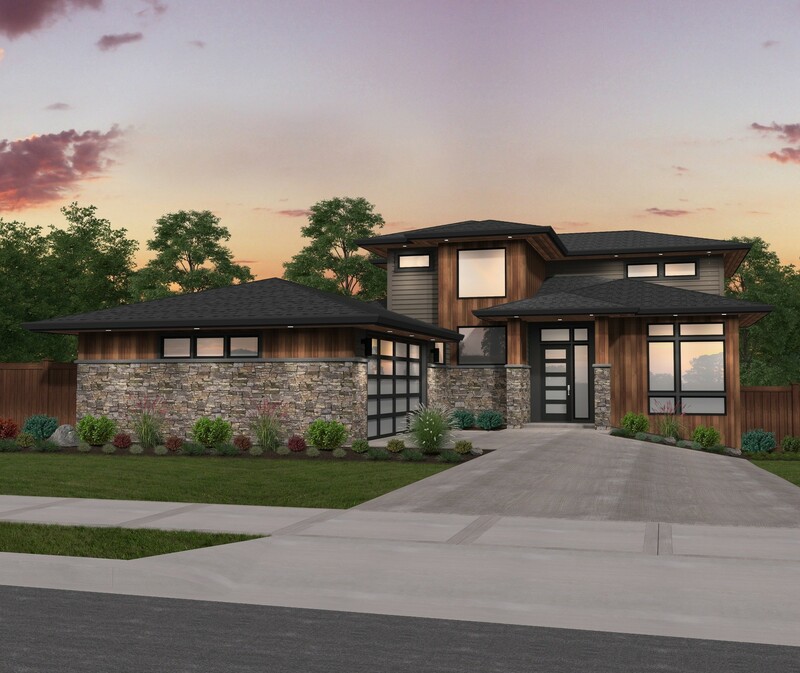 With striking low pitched hip roof lines and a sprawling main floor this L-Shaped Downhill Prairie House Plan Contemporary Home Design offers comfort, style, and makes no compromises. Through the foyer you’ll enter the gorgeous L shaped kitchen, dining, and great room layout, which has access to the large covered outdoor living area. Through an entrance just removed from the dining, you will enter the master suite which features the long master bath that terminates in a large U shaped walk in closet. 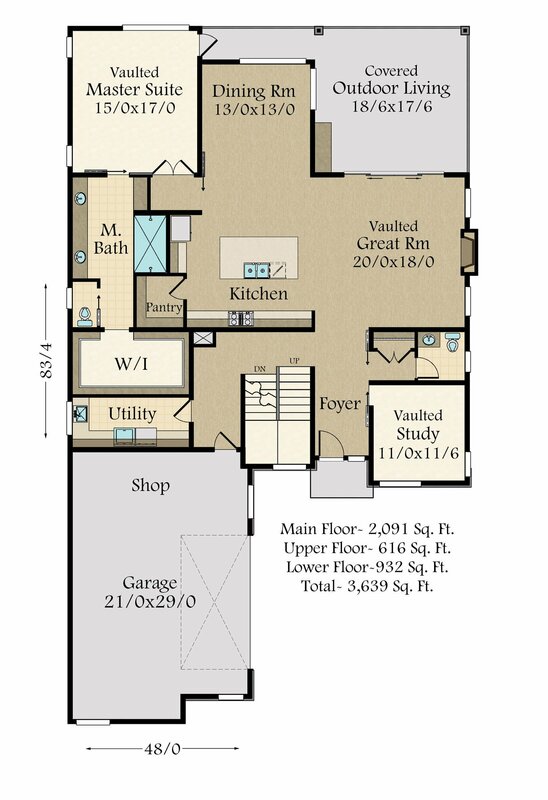 Also on the main floor, you’ll find the vaulted study and the utility room. 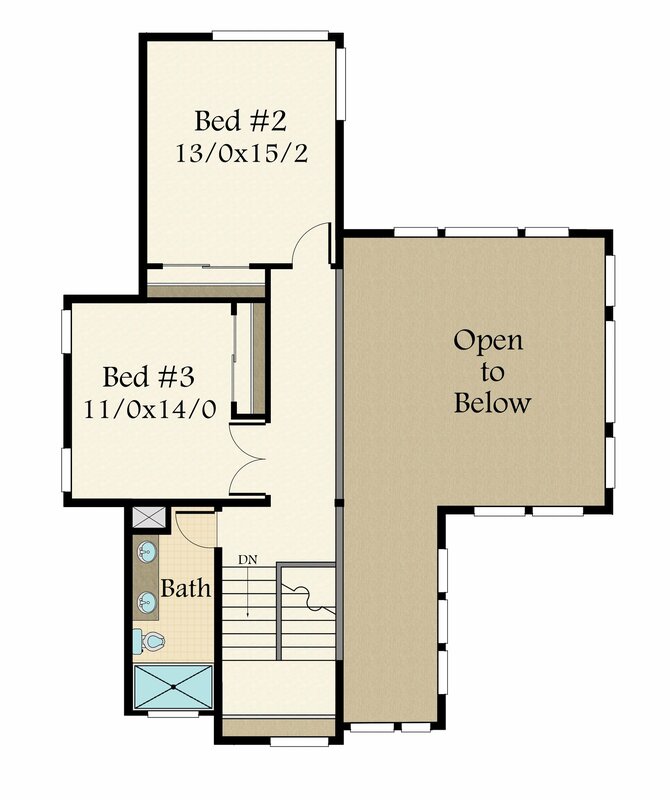 The upper floor houses two additional bedrooms and is open to the great room below. 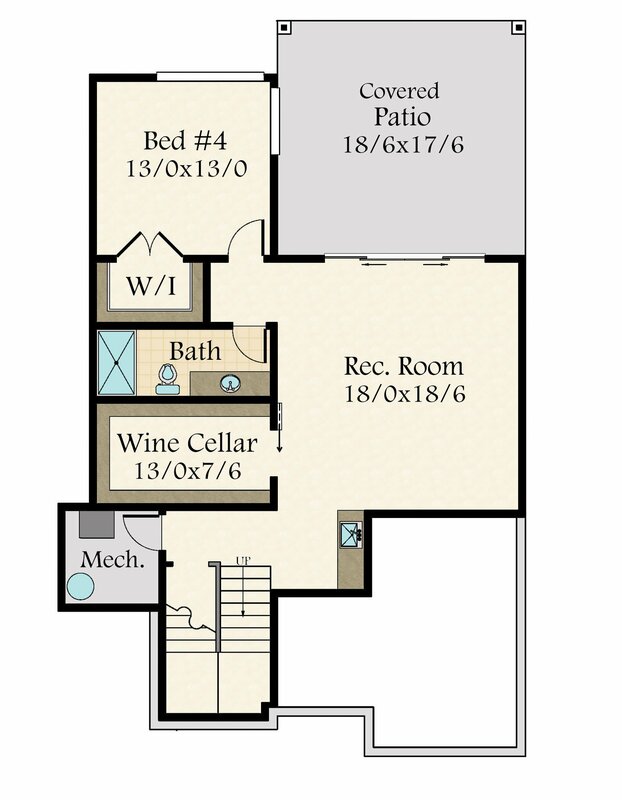 Downstairs is a large rec room, a fourth bedroom, and a wine cellar, as well as a covered porch that sits right below the upper deck. 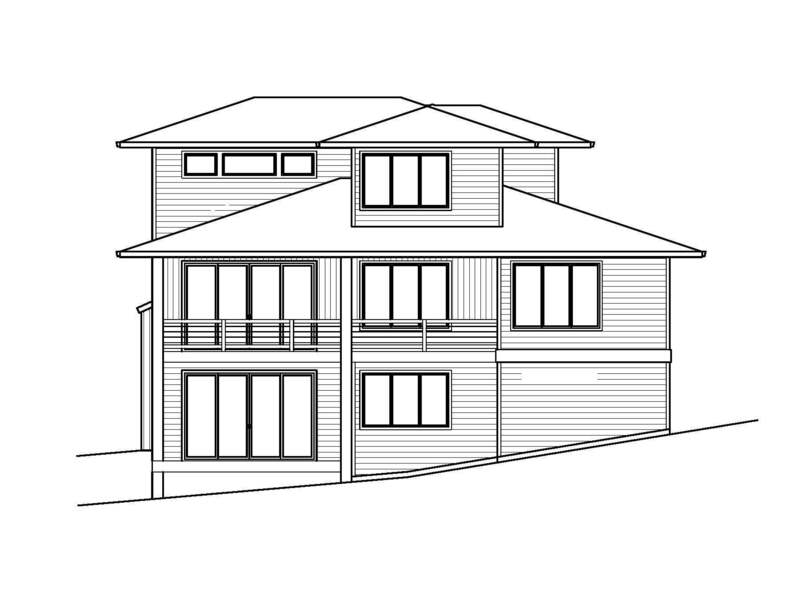 This beautiful three story Contemporary home works very well on downhill or otherwise “tricky” lots and is sure to please any homeowner.